The view of the surface of the Moon from the spacecraft during landing (from above). The interior view of the control room at the US Space Research Center (NASA), the staff applaud. Employees of the center behind the consoles are monitoring the readings of instruments and the course of landing of the Apollo-15 spacecraft. The type of the spacecraft landing site (from above). NASA employees mark the place of landing on the maps of the Moon. Panoramic photograph of the lunar surface. The commander of the crew, Scott D., astronauts Irving D. and Warden A. are preparing for the flight to try on space suits and helmets on July 26, 1971. Panorama of the territory of the cosmodrome. Scientists and engineers behind the consoles. A spaceship at the start, there is a pre-start time count on the scoreboard. The launch of the spacecraft, the general view of the launch pad (from above). A view of the surface of the moon with craters (from above). Astronauts Scott and Irwin descend to the surface of the moon, lowered to the ground lunar rover, scientists from Earth are watching them. American astronauts are preparing a lunar rover for movement on the lunar surface. A view of the lunar surface from the side of a moving lunar rover. Panoramic photograph of the lunar surface with a moon rover standing on it. Scientists and engineers from the Earth observe the actions of astronauts with the help of television communications, give directions. Astronauts collect rock samples from the lunar surface and soil samples. The deployment of astronauts scientific station, scientists continue to observe from Earth. Scott drills the lunar soil with electric drill. Photos of the collected scientific station and fragments of the lunar surface (top). The view of the Apollo 15 spacecraft from the compartment with scientific equipment. 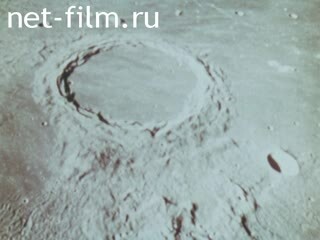 Photos of the lunar surface. Scientists and engineers on Earth follow the indications and data transmitted by the space expedition, keep in touch with the astronauts. 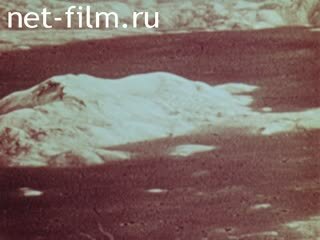 The collection of rocks by astronauts on the surface of the Moon, the study of craters on August 1, 1971. A sample of the crystalline mineral delivered from the moon, scientists are exploring the mineral with the help of special equipment. Astronauts collected samples of lunar rocks. Observation of astronauts with the help of television communications. Faces of scientists and engineers. Scott is drilling a second well in the lunar surface to take soil samples. Return of astronauts to the lunar compartment of the ship at the end of the second day of research. Scientists on Earth are discussing data received from astronauts on television. Scientists in the flight control center receive data from the space expedition, scientists. Astronauts extract the drill with a sample of the ground of the lunar surface. Scientists discuss and process the data. The appearance of the lunar surface on the monitor screen. Astronauts Scott and Irwin walk on the surface of the moon, one of the nickname stumbles, falls. The astronauts collected samples of the bedrock of the Moon, scientists in the control center observe the astronauts. The appearance of a part of the Moon's surface from the side of a moving lunar rover. A spaceship on the surface of the moon. Scott in the moon compartment of the ship extinguishes the stamp on the envelope issued in honor of the Apollo-15 flight. Demonstration by astronauts of one of the experiments on the application of the law of Galileo on the Moon. Scientists in the control center observe astronauts returning to the lunar compartment. The take-off of a spacecraft, the appearance of the receding surface of the moon. "Apollo-15" in the near-moon orbit. The faces of scientists watching the flight from the control center. An automatic satellite for studying the gravitational field of the Moon, deduced by Apollo-15 to the circumlunar orbit before returning to Earth. Astronaut Warden goes into open space. The fireball formed when the ship entered the atmosphere of the Earth. 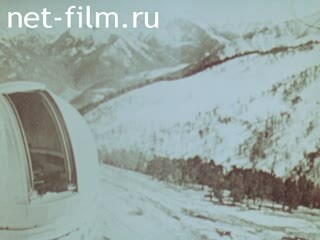 The drive of the descent vehicle of the expedition "Индэвор" on August 7, 1971. Astronauts come out of the helicopter. Scott, Irwin and Warden answer questions from journalists at a news conference. Lunokhod and a plaque left by astronauts on the surface of the Moon. Scott's face during a press conference. Journalists applauded and photographed the mock-up of the descent vehicle.